Considering the sheer size of Brazil — the fifth largest country in the world — it’s surprising just how close the birthplaces of Roberto Carlos da Silva Rocha and Marcos Evangelista de Morais are. Or, perhaps, not surprising but certainly pleasingly fortuitous. Both were born in São Paulo; the former, Roberto Carlos, in Garça in 1973 and, just over 400 kilometres away, three years earlier, Cafu in Itaquaquecetuba. From the very beginnings of their humble stories, the pair were destined to lead lives that remained inextricably linked. Pre-Roberto Carlos, Garça was better known for producing coffee rather than pioneering defenders. Likewise, Cafu’s hometown, the name originating from Tupi word ‘takwakisé-tube’ which literally means ‘the place of abundant bamboo sharp as knives’, is known for, well, its sharp bamboo. Given that both players hailed from locales famed for products renowned for their ‘sharpness’, in one regard or another, it is of little wonder that this, sharpness, should be a trait that so appropriately defined the approach to the game adopted by both defenders. Sharpness would not be their only quality, though. Full-backs are a strange breed. It’s an old adage that no one grows up wanting to be one. Likewise, it’s also true, or was until relatively recently, that not very many players grow up looking like a ‘natural’ in the position. It’s often their myriad talents spliced; bizarrely fast centre-backs or wingers that have a bottomless tank and a mean sliding tackle to boot are more likely that all of those combined. If you think about it, how could they not be the most important? It’s a unique position that was borne out of a constant desire (and need) to score goals, yet it was also because of a seeming plot-hole in the story of on-field success that birthed their evolution. They were the players that had space, yet were never truly tasked with fully utilising it. 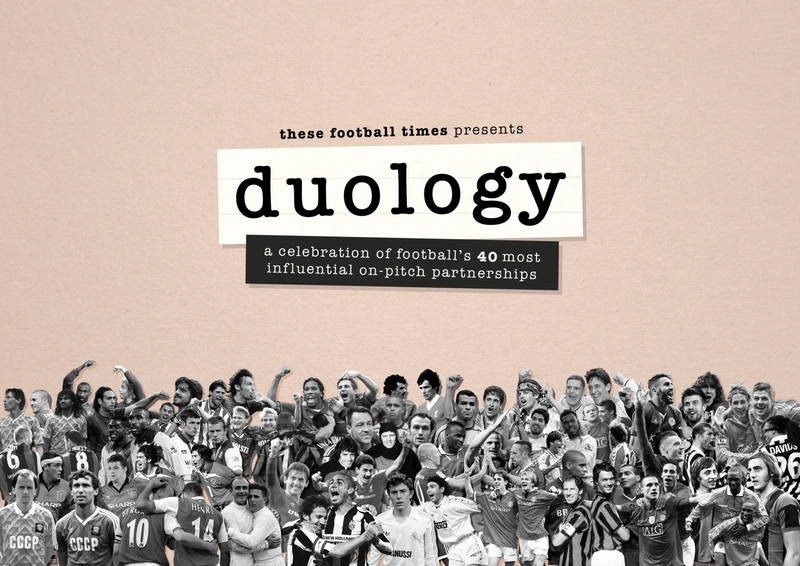 Football is a Darwinian endeavour where the most successful teams, or certainly the most influential, were predicated by their willingness for experimentation and innovation, usually leading to evolution of player, manager and team. The essential truth of football is discovered through trial-and-error. That’s not to take away from the fundamentals. The foundations are there because they are steady, solid and provide a building block for everything that comes next. But, let us not forget, the men that laid those very foundations, from Herbert Chapman to Gusztáv Sebes and Nereo Rocco, were radicals too. They laid the foundations by building something on top of shaky ground. It is only once their methods become widely adopted that they become part of the canon. Something far greater. That is all to say that defensive football was something that had already been boiled down to an art; even the idea of the attacking full-back wasn’t wholly new. Again, for the purists, football under the Catenaccio system was such a tactical war-of-minds, whereby even a stalemate was a thing of wonder, by their very definition: defenders defended. That was until they never. With football, as in life, things come full-circle, and the pinnacle of the position, certainly in its stage of infancy, was displayed by the two Brazilians on whom this very piece is based. It was also in Brazil that it all began, we think. Wilson traces it back to the 1958 World Cup, where Brazil used the position like no one else did. Their interpretation of the role as relational to width and not depth meant that a full-back was a more fluid position pertaining to their wider place out on the wing. Their name, in Brazil, is ‘lateral’. It isn’t imbued with the same defensive notions as its English counterpart ‘full-back’. It is from this World Cup that the role really flourished, although never quite rose to predominance until many years later. In the standard 4-4-2, wide players were tasked with marking their opposition counterparts. Central defenders would mark the forwards with the middle of the field becoming something of a jostling battleground. This bestowed the wide defenders with a lot of space in front of them, yet without the clear instruction of how best to exploit it. The attributes that are required for success in this position are relatively similar to attacking players. Gareth Bale started his career at left-back and has since moved forward into an attacking role. The way that these positions — full-back, winger and ever wide attackers — utilise and explore space is very similar. They are very rarely the ones solely tasked with creating it but they’re always expected to find it. 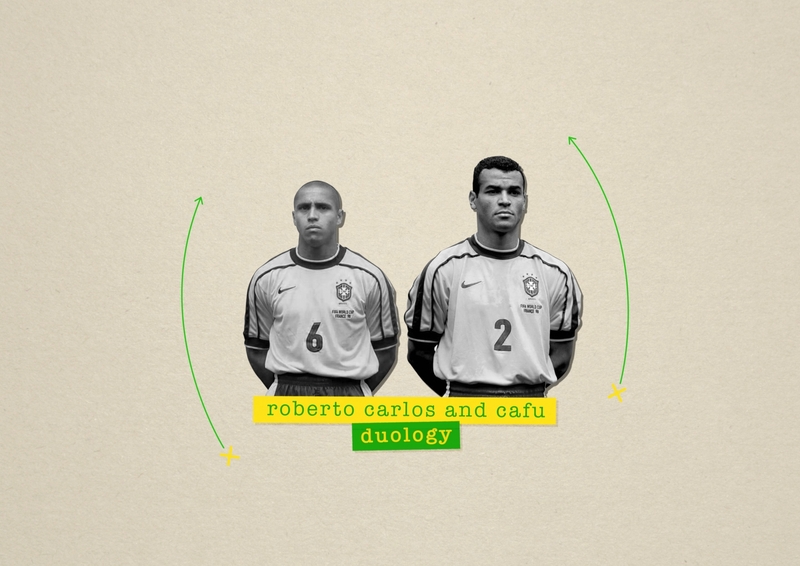 Roberto Carlos and Cafu were best noted for one particular movement: the overlap. This is where the winger or midfielder would hold up the ball, allowing the full-back to advance beyond them on the wing, creating an opportunity for the wide player to receive the ball and either cut into the middle or get the ball to the feet or head of their attackers with a cross. In the centre of the field, Brazil’s samba style of football has a heat-map that resembles a Jackson Pollock painting. 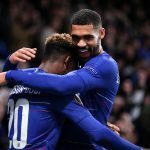 Although freewheeling in their own right, the full-backs provide a sense of structure, especially in counter-attacks when players can often find themselves out of position or on their heels. Having that structure bring advantages in abundance for a team that likes to tiptoe the line of chaos and order on the football field. First, it’s an option for the midfield or winger to use if no other runs are on. A well-oiled team should know their full-back has made that run without even looking over their shoulder. Then there’s the fact that full-backs put a great deal of pressure on the opposition’s defence. If their own full-back moves up the field, to stick tight to the winger, they’re leaving ample space in behind them. A well-placed pass means leaving their mark or relying on their central defenders dropping out of position for cover. This routine is often exploited by tactical masterminds like Pep Guardiola and Antonio Conte; utilising the full-berth of the position, from decoy to winged destroyer. Of course, it goes both ways. If your own player is willing to make their way up the field, it also leaves a hole in your own defence. Teams that launch the overlap are often very well structured to do so. It requires players with freakish stamina and a team with an innate sense of their own player’s positioning. Without a coach with a deft eye for such tactical nuance; forget it. Under the tutelage of Brazilian managerial mastermind and Samba-style resurgent Telê Santana, Cafu switched from right-wing to right-back, incorporating his natural attacking predisposition with a more traditionally negative position. The early days of this switch at São Paulo didn’t come easy for Cafu but his perseverance through these initial struggles were justified with an international call-up. This would mark the beginning of a player that has played in three World Cup finals, the only person ever to do so, as well as being the longest serving Brazil player of all-time. 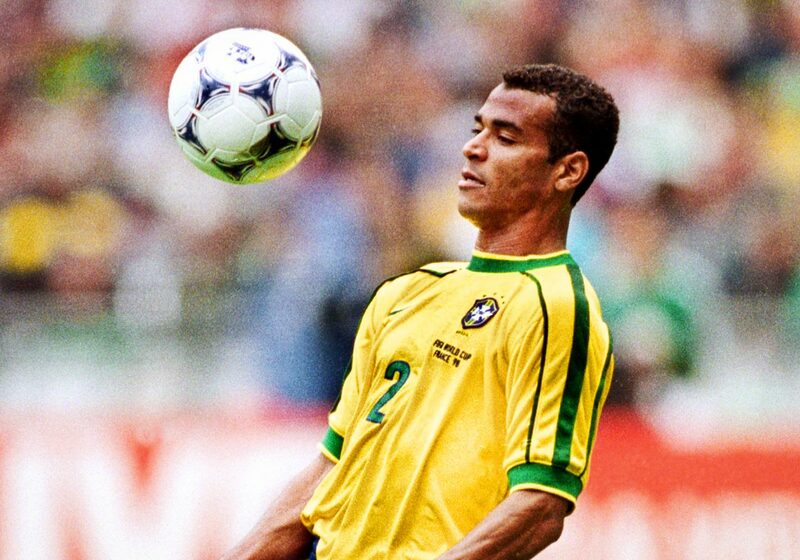 These qualities on the field, and traits off of it, defined Cafu’s entire career. He might not have as many YouTube showreels as his parallel wing-buddy, Roberto Carlos, but he’s cemented in many minds as one of if not the very best in that position. What he didn’t have in glamour, he made up for in consistency; of that there can be no question. He was instrumental for club and country, reigning almost unchallenged in his role at Roma (1997-2003) and Milan (2003-2008). The intention is not to paint Roberto Carlos as a polar opposite though. 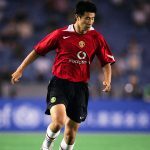 His career was similarly concentrated at very few clubs, mainly Real Madrid, where he terrorised opponents from 1996 to 2007, scoring just shy of 50 goals in his 370 matches and, like Cafu, being utterly imperative in his club’s breadth of success. 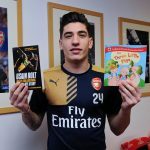 Besides winning almost every club and individual honour he could have – like the Champions League and UEFA Team of The Year, both more than once – he was also widely hailed as the very best left-back alive during his numerous rampant display of force at Real. Remember, this is in a time when Paolo Maldini was also vying for the title. These were the giants of the era, certainly defensively. Roberto Carlos had similarly humble beginnings to Cafu. As a child he worked in a textile factory whilst displaying a clear propensity for football. His diminutive stature was never a hindrance on his footballing development, such was his ability to utilise what God gave him. Born in 1973, he quickly moved through the ranks of Brazilian football before making the move to Internazionale in 1995; a huge move at the time for a young and relatively inexperienced Brazilian kid. His two season at Palmeiras, winning the league title in both of them, got him noticed. His single season an Inter wasn’t particularly noteworthy beyond his debut game in which he scored one of those free-kicks, that the footballing world loves him for. The kind where the ball doesn’t seem to spin, it just violently ebbs and flows through the air, unsettling the awaiting goalkeeper, before almost bursting the back of the net. It’s the footballing equivalent of the knockout punch that you only half saw coming. After only one season, he made the move to Madrid. His accomplishments there are insurmountable in an era when records were far from being broken every single day. He scored some goals that were unfathomable, including one from almost out at the corner flag. Somehow he managed to power it over the goalkeeper, who was assumedly caught slightly off-guard. A stalwart at Madrid, his career eventually wound down, and a move to Turkish side Fenerbahçe came in 2007. Like Cafu, Roberto Carlos was a loyal player, spending a vast majority of their career, certainly their best years, at one club. One thing that we can be thankful for is the fact that we got to see both men play on the field together and even win a big trophy doing so. Witnessing these men on form wearing the same kit was something to behold and at the 2002 World Cup finals in Korea and Japan they were exemplary. The whole tournament saw the pair making their trademark blistering runs and causing opposing teams all manner of strife. The players played alongside each other in the Seleção; manning their respective hind flanks and treating them like something that deserved to be imperialistically plundered; land that they had sole rights to exploit and lay claim to. Although they were playing roles a little more advanced, offering support to the five-man midfield, they were still very much defenders. Emphatically displaying their signature professionalism in the role, this tournament had it all. For this pair, it seemed to be their magnum opus. There was a thunderous Roberto Carlos free-kick against China and, in the final, a truly inspired performance from Cafu against a defensively strong Germany side that had only conceded one goal leading up to that match. Cafu captained the squad to the trophy after beating the Germans 2-0. It was on the podium designed to host the trophy that he would stand, glorious and veritably doused with confetti, triumphant. He was admired as much for his intense on-field disposition, his sheer relentlessness and power, as he was for his off-field kindness, warmth and leadership. It was almost a decade after they pulled on their kits for the 2002 World Cup that the world would see full-backs of a similar ilk. Unfortunately, at club level the two never pulled on the same kit together. A debate raged, mainly in the peak of their careers, about who was the better player. Imagine Messi and Ronaldo, except without the glamour of being a goalscorer. These Brazilians were compared because people really wanted answers: who was the best? For Brazil, though, operating on the opposite sides of the field yet wearing the same kit, the question changed. It was no longer who was better between them but who was better than them? Banksy didn’t invent stencilling; in fact, he’s pretty open about where he got the idea. Likewise, Roberto Carlos and Cafu, at their respective teams, didn’t invent the attacking full-back role. But when you think of them, or Banksy, you can be sure that they were the ones that redefined their craft. Everyone that comes after is bound to be judged by their standard. That isn’t a pleasant prospect if you’re a full-back. Although others have come in to fill their shoes, there’s still a sizable hole left in the beautiful game that can’t quite be filled by any others. Just like Zidane and Ronaldo, who came before, there is an ephemeral quality to this Brazilian duo that means they’ll forever be regarded as occupying the upper-echelons of footballing royalty. Are they the best ever? Maybe. Then again, maybe that isn’t important. Best or not, they’ll always be the players that others are relentlessly compared to. In football, when players continue to evolve at a freakish pace into machines somehow made of flesh and bone, being the benchmark of a certain position is probably the highest compliment any player can be paid. Roberto Carlos and Cafu were just that.